With the return to good weather here in New Hampshire, we’ve produced a total of 107 kw of electricity so far from our photovoltaic array. Because the footings for it were placed further north than planned, the panels are shaded more in the early morning and late afternoon that we had hoped. The trees we cut had been calculated for the more southerly location. At 3pm there's already considerable shade on the panels. So during our annual Labor Day Work and Play Weekend for all our gay friends, we’ll be cutting some more trees away from the sides of the array to let more light in and increase our daily output. I think we have the capacity to generate at least 300kw a month if we clear enough to guarantee unshaded light for at least 8 hours a day. Now that the actual presidential campaign is starting, I’m thoroughly sick of the whole process, suffering from a bad case of campaign fatigue. These people have been dominating the news and TV for a year and a half--and for what? Some commentators are saying that the American people still need to see the real Barack Obama, not just the articulate visionary. And even after 18 months +or- of hard campaigning it’s only in the last couple of months that the real John McCain, the progressively less and less admirable—even tolerable—human being has begun to emerge. So what was the purpose of everybody rushing to throw their hats into the ring and start pressing the flesh all around the country less than half way through Bush’s second term if not to show us who they really are? I think I’ve mentioned this before, but I’d very like much to see an officially established starting date for presidential campaigns. But I’m just cynical (or realistic) enough, however, to know that if such a limited campaign season ever were to be established, politicians would immediately find ways to subvert it. What worries me is that with the precedent of this election’s endless campaign, including the mad rush of states to reschedule their primaries earlier and earlier, we may someday see a president take the oath of office on January 20 and politicians hopeful of succeeding him or her announce their candidacy on January 21. However, there’s no questioning the historic importance of Barack Obama’s acceptance speech and I’ll certainly be watching. I couldn’t help thinking, if only Coretta Scott King had lived long enough to see an African American accept the nomination of his party for president on the exact 45th anniversary of her husband’s “I have a dream” speech on the Mall in DC. What an atmosphere there would have been had she been present tonight to see it happen. An Italian priest who said he wanted to hold the world's first beauty contest for nuns has decided to cancel the project, saying he was misunderstood. Antonio Rungi said he had never intended to put sisters on the catwalk, but had wanted to erase a stereotype of them as being old and dour. 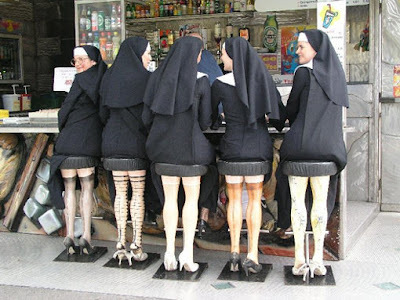 "Nuns are - above all - women, and beauty is a gift from God," he told Italy's Corriere della Sera newspaper before he cancelled the project. He had wanted to hold the contest online on his internet blog. 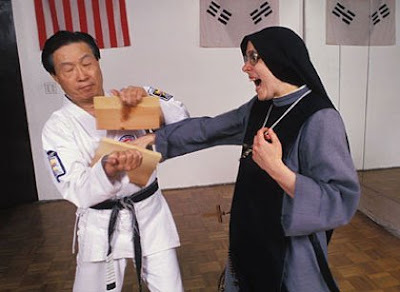 He had expected around 1000 nuns to enter the contest to choose “Sister Italia.” In particular, Nuns from Latin America, especially Brazil, were being urged to enter. Father Rungi said he changed his mind after the local religious authorities expressed their displeasure. "My superiors were not happy. The local bishop was not happy, but they did not understand me either," Father Rungi told Reuters news agency from the town of Mondragone, near Naples. "It was interpreted as more of a physical thing," he said. "Now, no one is saying that nuns can't be beautiful, but I was thinking about something more complete." He said he had intended to showcase the good works that nuns do, especially in education and health care, so as to boost interest in religious vocations. "We have to draw more attention to the world of nuns, who are often not sufficiently appreciated by society," he wrote in his blog. Fr. 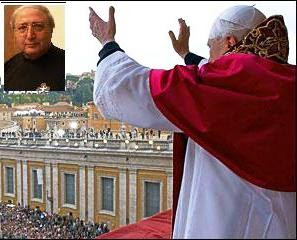 Rungi [inset] is either officially or unofficially the Vatican’s chosen publicist/modern image representative. At the beginning of this month, Reuters reported that he decided to combat the fact that vacationers leave church behind when they go on holiday by taking church to the vacationers. Fr. Rungi had a 96 foot inflatable "church" placed on a beach located on the Adriatic coast. 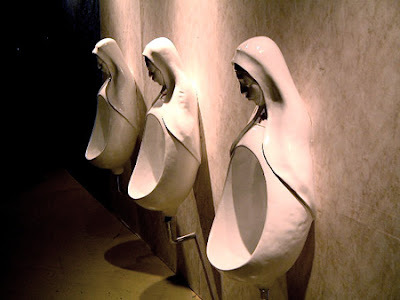 From that church priests heard confessions. In the evenings, as a complement to the Sacrament of Penance there was a group of four or five singing about God. The inflatable church had been attempted last month in Sardinia, but high winds foiled the effort. Exactly how youthful, hip and modern Fr. Rungi’s portable churches and proposed beauty pageant are going to come across to the younger generation of Catholics remains to be seen. Interestingly, the pope chose an old rather than a young man to implement the program. 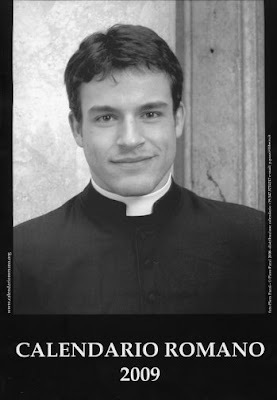 Perhaps he feared that a young priest would be a little too wild and, well, YOUNG--not in line with traditional Catholic leadership by aged, reactionary types. 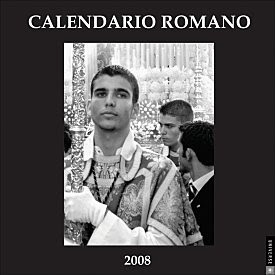 But if you’re in the mood for some Vatican eye candy, there’s always the Calendario Romano, the annual calendar that features many hunky, handsome young priests. It's sold at religious stores in Rome and elsewhere (wanna bet how many of those calendars are hanging next to the beds of highly placed cardinals and bishops worldwide?). << In my sentences I go where no man has gone before. >> It’s not pollution that is hurting the environment, it’s the impurities in our air and water that are doing it. Tuesday, 2:08 AM. Fritz and I were awakened by a wild scrambling outside the bedroom in the front hall. There was also a high, piercing squeaking noise. “What’s that?” from Fritz. I guessed Starr was playing with the little rug just inside the great room under which she likes to hide various little treasures. I got up, went into the hall, turned on the light. Starr was standing over a bat that was lying still, wings laid out flat, on the hall rug. “OMG, it’s a bat! She’s killed a bat.” I went into the mechanical room to get some newspaper from recycling to wrap the little cadaver. As I came back, praising the great huntress for her kill, I asked Fritz how he thought it could possibly have gotten in. But that question faded into irrelevance as I leaned over to pick the little guy up. The bat sprang right back to life, careened off my leg and took to the air among the trusses of the great room. The players and the playing field: two naked men, one hyper cat who can’t choose between leaping for a flying rodent or two white moths who’ve also gotten in somehow, all in an 18’x24’ room with a 15’ high roof peak and large open arches into the rest of the house. The bat navigated effortlessly up and around the beams, occasionally clinging on the side of a truss, showing no signs of injury. Fritz went into action, telling me to take Starr and confine her to the upstairs by closing the pocket door at the foot of the stairs—she was NOT a happy cat. He then removed the screens from two of the tall great room windows and cranked them fully open with the hope that the bat would simply fly out. It almost did on several occasions as it flew an irregular oval course through the room at various altitudes, but it didn’t quite manage to make it out into the night. Unexpectedly it zeroed in on the multi-tiered bamboo Chinese bird cage that sits on the main truss where all the other trusses join in. It landed and stayed put. Fritz got a step ladder and gently got the cage down, the bat all the while resting comfortably on one of its upper “roofs.” I took a quick picture as he walked by on the way to one of the open windows and placed the cage on the planter outside. I cranked both windows closed and it was all over. This morning the bat was gone, flown off into the night, and the cage is back on its perch in front of the roof’s king beam. When we began to build this house, I said to Fritz how exciting it was going to be living right in the middle of nature. The moral of the story is, be careful what you ask for. One of my favorite bloggers has announced that he’s shutting down. RG’s dulce y peligroso is only about a year old but it’s become an essential part of my blog reading. RG lives very near to where I used to live in Boston but I didn’t discover that fact until I moved up here. He’s irresistible: a smartass, unpredictable, funny, irreverent, boisterous and--not the least of it by any means--a very hot guy. 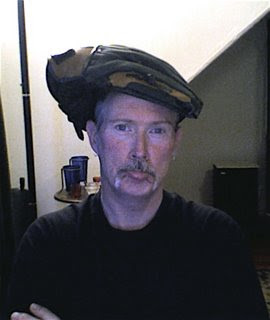 (The picture was taken after his team lost a softball game and what looks exactly like the hat Lorenzo de Medici wears in his famous portrait is actually RG’s glove plopped down on top of his head. Only RG). He’ll be sorely missed. 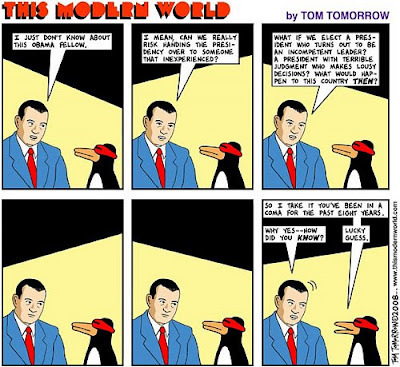 This cartoon is borrowed with thanks to Alexander of Voenix Rising. It’s in tribute to the opening of the Democratic National Convention and the hope that it will give Obama-Biden a huge boost and not turn into the Democratic National Contention, as Democratic Party affairs so often do. An Italian priest says he is organising the world's first beauty pageant for nuns to erase a stereotype of them as being old and dour. Antonio Rungi says The Miss Sister Italy online contest will start on his blog in September. 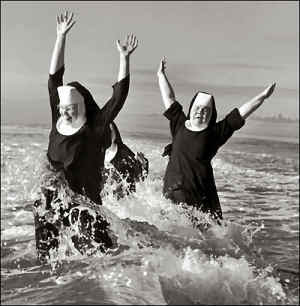 "Nuns are above all women and beauty is a gift from God," he told Italy's Corriere della Sera newspaper. He is asking nuns to send their photos to him, saying that internet users will then choose the winner. 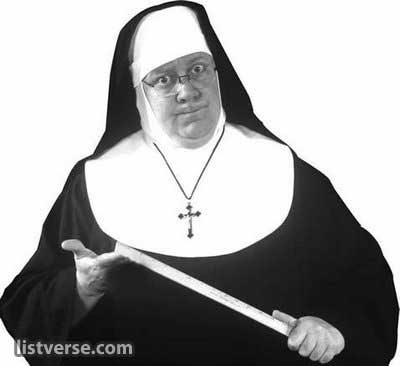 Father Rungi stressed that nuns were not being invited to parade in bathing suits, saying it will be up to them whether they pose with the traditional veil or with their heads uncovered. "This contest will be a way to show there isn't just the beauty we see on television but also a more discreet charm," the priest, who lives near the southern city of Naples, told the Corriere della Sera. 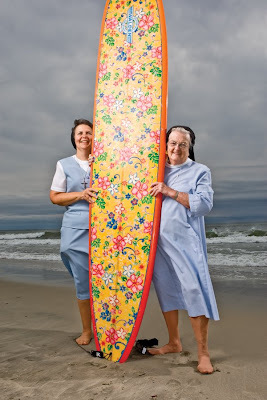 "You really think all nuns are old, stunted and sad? This isn't the case anymore," he said, pointing out that many young nuns had arrived to Italy from around the world. 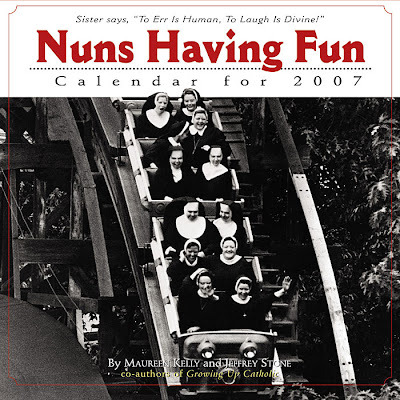 He added that the idea of staging such a contest had been suggested by nuns themselves. I’ve been having a lot of fun (and hope you have, too) revisiting some of the memorably tortured syntax and thought processes of or current, blessedly soon to be non-president. But I got to thinking that really stellar, thought-provoking statements from a Republican White House aren’t actually new. Bozo’s father, Papa Bush, enjoyed(?) 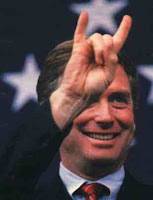 the back-up of a unique, unimaginably screwed-up thinker and public speaker named Dan Quayle. << I understand small business growth. I was one. >>I had a wonderful trip to Latin America. And now I wish I had taken Latin in school so I could talk to those people. You know what's interesting? 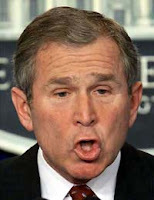 Bush and Quayle are SO dumb (and in so many of the same ways) that if you google something like "dumb statements by Bush" or "dumb statements by Quayle", you'll find that some of the same statements are attributed to both. Nicky Cooper Redux or, Is this deja vu all over again? Yes, lightening apparently CAN strike twice in the same place—-and quickly, too. Several months ago a lovely young man from Michigan named Matt left a comment on this blog. I wrote a comment welcoming him and checked out his blog, A Gay Life Unexplored. He was 17, looking forward to college this fall, dealing with coming out with great aplomb and he wrote interestingly about his life. I discovered that two blog friends, Jess (Splenda in the Grass) and Marc (The Bokey Chronicles) were readers and frequent commenters on Matt’s posts. The Nicky Cooper blog fraud blew up shortly thereafter. Disappointed by that mess, Jess, Marc and I kept reading and corresponding with Matt. As time rolled by, we each noticed a few things about the whole set-up; we three were the only ones who commented for months and months (except for one short, isolated comment from an Australian guy), which seemed strange to me for a blog that had been going for a while; Jess noted how centered and mature Matt seemed and was particularly amazed at the sophistication of a playlist and player Matt had added recently. I was hauling rock around the property today, building a planter in front of the house. It was pretty mindless work, so my mind wandered into in interesting question: what if this lovely young gay man is the latest creation of grandma in British Columbia or of somebody else, and we're getting drawn in to some illusion again? Now I don't think for a minute this is the case. Lightening COULDN'T strike again so soon (could it?). But the thought kept running through my mind. It also struck me that for the past several months, you, Marc and I (with the exception of just one comment from somebody else) have been the only people to comment and dialog with Matt in the comments section. Given how long he's had a blog going, that's a bit strange. Anyway, this is NOT an attempt to shake your confidence in Matt. I just wrote because you and Marc are involved and the idea hit me hard when it did. Actually, however, I WAS questioning Matt’s existence. And Jess wrote back that they, too, had begun to wonder seriously if Matt was real. There followed a rapid-fire back and forth in which Jess told me that he and Marc had done some sleuthing via Google and discovered that Matt had a second blog on greasy.com, identical to the one we read on Blogger, with lots and lots of comments. I checked it out and found one comment that struck me as particularly suggestive from a woman whose bio said she was the mother of 15 and 17 year old boys. But Jess and Marc are more computer-savvy than I and their brilliant find was the blog from London of James O’Malley.co.uk. James’s current post on getting pulled over by the police for speeding and “Matt’s” latest post on getting pulled over by the police for speeding were word for word identical, but for a few tell-tale signs. Remember all those reiterations of the saying that if a thing seems too good to be true it probably is? So, my sudden feeling may have been prescient! In your first post you directed me to re-read "Matt's" most recent post and something came roaring out at me that I hadn't caught before: "especially when there's police cars around, as it's bloody terrifying" (emphasis mine). Red flags should have gone up in my head all over the place--what American teenager in the upper mid-west is going to use "bloody" like that? They don't use it across the border in Canada, British Canada though it may be. The lifting of text from the British boy's blog is more extensive and even more verbatim than the lifting from the young mother's blog done by "Nicky." Do we expose this? Do we just say nothing and walk away? PS in a follow-up email: I also should have noticed the strangeness of “Matt's” being made to sit in the back of the police car--that's far from standard procedure in this country for a simple speeding pull-over. I suspect the fraud was perpetrated by a Brit who knew enough about the difference between American and British English to edit kerb to curb but not enough about the difference in police procedures or that Americans don’t use “bloody” unless quoting or making a humorous reference. Jess posted his findings this morning after our email dialog and, as of 11:30 AM, “Matt’s” A Gay Life Unexplored had been deleted from Blogger; all posts had been deleted from the greasy.com site, leaving only a one-line bio, some comments and a music player. 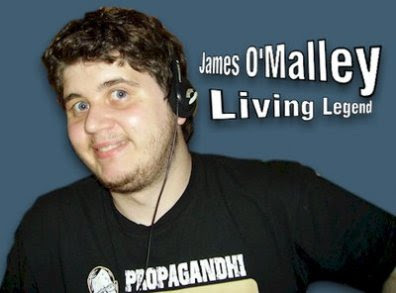 As of noon today, James O’Malley’s site was up and running. He may well be a completely innocent party, as he has both photos and videos of himself and a public persona as a columnist on media, politics, religion, etc. along with a birth date that makes him 20 or 21 years old and a coherent Facebook page. His commentaries about Britain comprise most of his blog. But somewhere there’s another person out there faking the blogs of young, intelligent and personable gay men. Is it a third party, or is Matt a real person who simply appropriated another bloggers' identities? 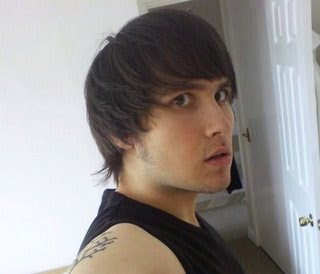 Jess said that they had found the origins of some of “Matt’s” posts in several blogs. Interestingly, Father Tony of perge modo outed another fraudulent blogger recently, one who has severely cut his existing posts, removed his picture and all references to himself as a children's book author (he'd stolen the picture and profession of the real author), although his blog remains on line in reduced form. There's a small epidemic going on, apparently. A friend stayed over last night before an early morning flight out of Manchester Airport. P and Fritz have known each other for eons, since P was a chorus boy and actor in New York City. He now lives in southwest new Hampshire and runs a successful pet boarding and walking service. To make his flight and all the security, it was agreed he’d better get up at 3:30 AM today. My beloved being a dear and generous man, he said he’d get up to make sure that P was up, dressed and packed in time to leave by 4:15. As it happened, I was awake myself because sometime between 3 and 3:30, our owl began to give his territorial defense cry. He was in extremely good voice, pumping it out at high volume and adding a trill as a flourish on the final note that I haven’t heard from him previously. In the far distance there was a response from another owl, and it all went on for fifteen to twenty minutes. Our boy ended the dialog with a strange variation, like a jazz improv, that had him going very high in pitch and adding several extra notes to the standard four in two reps. Last night, he was TEH OWL. As I drifted back to sleep I couldn’t help but think that had Nicky Cooper been a real man, or had the fraud of his blog not yet been exposed, we’d probably have had an email exchange this morning about owls in the night and he would have written something heartbreakingly beautiful about lying in a tent in the northern forest surrounded by the manifold cries of nature and connecting with the cosmos. Well, he isn’t and we didn’t. 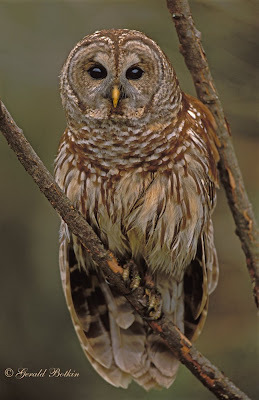 But I think I connected with something pretty wonderful last night when a barred owl gave a song of joy just outside my window. It’s the very last of the spaces against the house where we’ve planned to have a planter. It will fill the area between the stone-clad pier on the left and the retaining wall of the berm on the right. It’s the shortest of the planters. The last one I built was the longest, across the three south-facing windows of our bedroom. This is our bathroom, with no windows and the lights turned off. 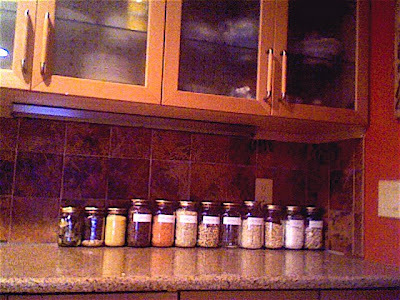 The picture was taken without flash. All the light comes from the SolaTube that gathers sun through a Plexiglas dome on the roof and then travels eight feet at a low angle before terminating at a plastic lens in the middle of the bathroom ceiling. On a fine, sunny day, this windowless bathroom is just about the brightest room in the house. Meeting fellow bloggers has been a consistently pleasant activity over the years, one frequently accompanied by good food and conversation. And that’s exactly the way it was last evening when Doug of Gossamer Tapestry and his husband Leon came to the house. That’s a photo borrowed from his blog—-he’s a skilled nature photographer, and his work is quite beautiful. Tiger beetles are apparently plentiful in the sandy remains of old excavations, but a huge traffic jam on the way had them arrive a couple of hours later than planned. So, after a tour through the house, we went out to dinner in neighboring Fremont at what’s nominally a pizza place that’s really a very respectable Mediterranean restaurant. And we hit the jackpot—one of the rare weeks during the year when they have their own, very special version of paella on the menu. 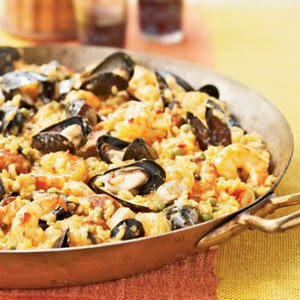 It’s big, it’s full of mussels, shrimp, chicken, sausage, even some calamari, and it’s topped with a light sprinkling of shaved, hard parmesan that nicely finishes off the savory rice/sauce base of the dish. We were there for close to two hours, talking and laughing and finally exploring the dessert menu, which we had no business doing with all that had come before, but we were having too much fun. I’d first contacted Doug a couple of years ago when I found his blog and read that he makes his own cheese. It’s something that I’d like to get into and have plans for doing so once we get the exterior work completed and I can build a new set of storage/project shelves in the mechanical room. Doug has family in the general area and we talked about getting together again when they come out from Chicago for another visit, this time to hit the mines (mica and/or feldspar was taken out of the ground in at least there local excavations) in pursuit of the tiger beetles. Two nicer guys you couldn’t hope to meet. Speaking of the exterior work, we’ve hit a snag or two. The following projects are in the works—the 10x10 shed from Reeds Ferry that was supposed to have been installed tomorrow; the walkways and exterior steps that will be done by the two handsome brothers who did the concrete floors in the house, including the acid dye coloring and finishing; and paving the road up the hill and the parking areas around the house. Weather having been consistently bad this August, everything’s off schedule. The walks could begin late this week, but they’re so backed up with delayed work for others that it’s not certain (we’d all planned on their being done in late July). The paving will probably happen the week after Labor Day. But the shed! Our excavator couldn't come and prepare the site in time, so I had to cancel tomorrow’s installation. The first available date the company could give me for the installation now is October 28th. At least it’s before the really heavy weather sets in. We look forward to hearing your vision, so we can more better do our job. That's what I'm telling you. The mystery animal we’ve heard at night that might have been a moose, that might have been a bear, has finally been identified. The Barred Owl lives in woods in the East and the Northwest. It feeds on rodents up to the size of rabbits, other birds as big as grouse, reptiles, amphibians—and fish. Besides providing a clear recording of all the birds in the book, the author provides simple devices for memorizing their characteristic cries (mating, aggression, or in this case, territorial possession). For the Barred Owl, he provides the following: Who cooks [slight pause] for you? [pause] Who cooks for YOU ALL? Now, just imagine an upward whoop replacing each word, a loud whoop like that made by a teenaged boy with a bronchial infection whose voice just cracked into a deep bass. That’s the sound of our mystery animal. We took Fritz’s office manager on a little excursion today for her birthday. 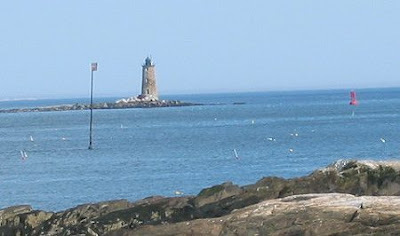 It was a lighthouse tour in the Portsmouth area that included a harbor cruise. We began by climbing Portsmouth Light which sits in a harbor fort dating back to the early 1630s, one which saw the seizure from the British of the cannons, ammunition and gunpowder that would eventually be used against the British in the battles of Lexington, concord and Bunker Hill. We then boarded the cruise boat moored next to a big Panamanian freighter, the Saint Demetrios that was just leaving the harbor after unloading tons of road salt mined in Chile and Peru. The Demetrios slipped her moorings and we followed her out of the inner harbor and past the Portsmouth Naval Shipyard. Now involved in the construction and maintenance of nuclear submarines, the shipyard’s crew of 14,000 women turned out submarines during World War II in record numbers, some in as little as 180 days, becoming the second biggest target for Nazi submarine attack on the East Coast. Just past the shipyard is the now-abandoned Navy maximum security prison. 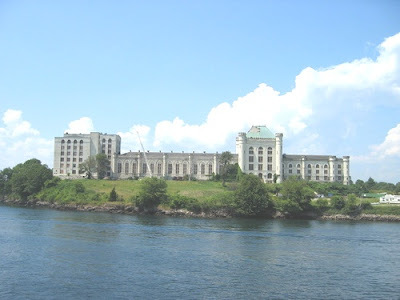 Built on an island amid the swift currents of the Piscataqua River and inspired by Alcatraz, the prison held 3000 inmates guarded by active-duty marines in severe conditions that made it the single most feared military prison in the country from 1908 to 1974. The massive building is now being offered to developers who are hesitant to take it on because it’s full of asbestos and because the mortar that holds it together was mixed with salt water instead of fresh and is now deteriorating badly. The river mouth widens rapidly once past the prison as we headed to our goal of Whaleback Light, a small, very tough little structure build on a mostly submerged rock shoal. 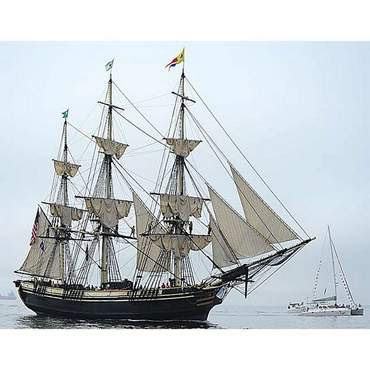 It was there that we joined the big surprise of the day—the tall ships parade back into the harbor, led by two fire boats spraying huge plumes of water and featuring the Friendship, a replica 1797 China trader built and berthed in Salem, Ma. The Roseway, a replica Grand Banks fishing schooner followed her in, and then we came along, side by side with a Coast Guard cutter and a flotilla of smaller boats. The trip ended with a visit to Cape Neddick Light, popularly called Nubble Light, in York, Maine. We lucked out on weather; the day was fine, mostly sunny with only a few small patches of fog. But all good things come to an end, and it’s now raining heavily once again as I post this. Things are beginning to be covered with mildew. Not inside so far, but parts of the woodwork on the outside of the house are mildewing. There’s just so much moisture we can take and I think we passed the limit three days ago. So it was a huge surprise to see the sun pouring through the trees this morning when I woke up at 5:30. The day was mostly cloudless and there hasn’t been a drop of rain. The weather forecasters are warning us not to get used to it but it was a huge boost. I spent the day setting stone outside, and the kilowatt meter was working overtime finally getting a chance to record some real electricity coming in from the panels on the hillside. 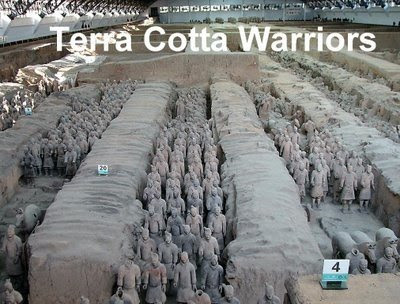 The tile is Marazza. I’d looked in several places for tile that had color and texture to go with the kitchen wood and counter tops. Even the very expensive places came up dry but Home Depot had these and at a very good price. I got this verification “word” when putting a comment on one of the blogs: xxixvyx . Change out the v for a k and it’s practically a word in Basque. We began a series of open houses this weekend to introduce friends, colleagues of many kinds, and the subcontractors who worked on the house to the finished home. Saturday was devoted to graduates from Fritz’s Masters Degree program for Leslie University. Today was subcontractor day, and Tuesday is for New Hampshire friends. 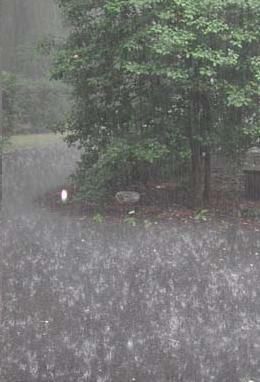 The big surprise [not] of the day is that it’s raining right now—pouring very hard in fact. And it’s now official: the normal amount of rain for the last six weeks is 14.5 inches. As of Friday, we’ve had 29 inches and the rain this weekend was expected to amount to at least one inch and possibly as much as two. Flash foods are beginning to become a big problem and a couple of towns have had extensive sections of roads swept away in seconds. A lot of work is getting done inside the house because it’s virtually impossible to work outside which is completely saturated even in the short dry periods between deluges. The forecast for next week is for more of the same. The mosquito population is completely out of control. 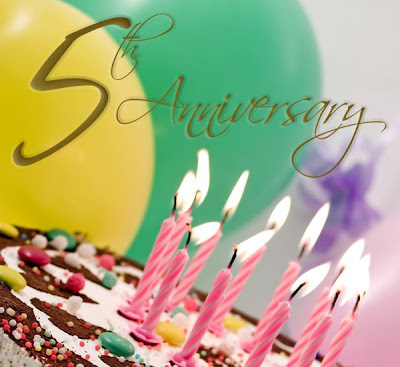 Hard for me to believe, but it’s DesignerBlog’s fifth anniversary today. It’s chronicled almost half of my relationship with Fritz, through the long years of our commuter relationship as committed partners and lovers into legal marriage in Massachusetts, my big career transition and the building of this wonderful new house in which we now live. Some blogs seem to go on forever, others spring up and fade early (I’ve visited several recently where the first entry turned out to be the only entry). Others, as we’ve seen recently once again, are elaborate fabrications so engrossing and convincing as to cause disbelief and hurt when their bubble pops (some others are elaborate fabrications so entertaining nobody cares and just has a good time). Many blogs run their course and then shut down, written by interesting, vibrant people who move on and leave you wondering what the rest of their story could be. These I miss, some of them very much indeed. By the way, this is NOT a goodbye statement. Anything but. I still have things to do, places to go, a fantastic man to love, and miles to go before I sleep. The internet is many things to many people and for me it’s first and foremost a communications tool. For me, life is about people and connecting with them, whether it’s professionally or personally. And I have just enough (healthy, I hope) ego to think I still have a few things worth saying in this medium. Most of all, I have had genuinely great experiences meeting bloggers in person after coming to know them from their own blogs. Thank you all so much, whether I’ve met you or not—you’ve enriched my experience, taught me, amused me, moved me and made me feel part of a greater, wider, richer and more varied gay community than I could ever have imagined. Fritz and I have many connections with the American Northwest. Dear friends of ours moved from Boston to Seattle some years ago, disappointment over losing them here has led to a couple of great trips to visit them there. Almost exactly a year ago, my elder daughter and her husband moved to Salem, Oregon and traveling to visit them there (and connecting again with dear Lewis in Portland) is on our list for the not too distant future. We spent the better part of a whole week touring the Olympic Peninsula on one occasion, and on another I got to see Seattle’s fabled production of Wagner’s Ring of the Nibleung. We love the Northwest. But I never thought we’d be living there--particularly without ever having to leave home. But it’s come to that in New England, particularly the area from Boston to central New Hampshire that’s stuck in a weather system generated by a massive, completely stationary low pressure system. 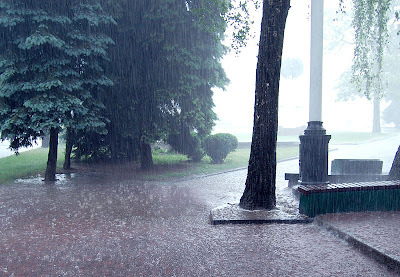 Rain is a daily event, frequently through the majority of the day, and currently for several days both past and to come, with few or no breaks of sun. The downpours at night are so powerful and loud that we're regularly awakened from sound sleep. You could call this place Seattle East and get no argument from me, and you could definitely call this summer Monsoon Season. 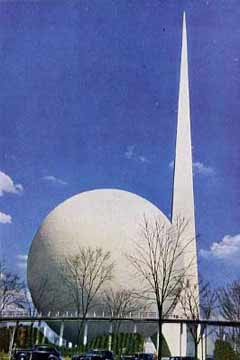 It's the Trylon and Perisphere, the symbol of the 1939 World's Fair held in Flushing meadows in New York City's borough of Queens. Yesterday at approximately 2:30pm, one of the managers of KW Energy Management in Nashua, NH threw the switch and we began producing our own electricity. Very shortly thereafter, the skies darkened and we are now in deep gloom with steady rain. Such is life. But in the hour or so when there was decent light we produced a couple of kilowatts of electricity. I was very happy to see how compact and easy to monitor the equipment is that does all the work. To the right, the big vertical panel is our standard circuit breaker box. The three boxes on the left are all we need to make our own power and feed it into the Public Service of New Hampshire grid. 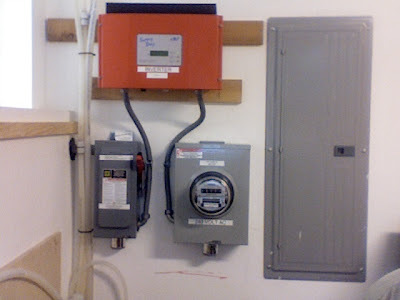 DC electricity comes into the house through the main disconnect box on the lower left, moves up through the red inverter box on top where it's converted into AC current that then moves through the meter on the lower right and on into the PSNH system. There’s a continuous display on the face of the inverter box that shows the amount of electricity we’re producing at any given moment and it is extremely sensitive—if a small cloud passes over the sun for a moment, the read-out shows the drop in power production, and then how it soars when the sun is again unobstructed. We also get a digital display to one decimal place on how much electricity we’ve generated in one day, and then how much we’ve generated in the life of the system. There are other readouts that pass by giving other technical information. The inverter is self-diagnostic and the entire system is easy to use. Now as soon as we get some sun back, we’ll get an idea of what our system can produce. Fortunately, I’ve gotten one monthly bill from PSNH that, from beginning to end of the billing period, shows how much electricity we consume given the amount we typically use on a daily basis. As I’ve mentioned before, we don’t consume our own power, but buy electricity from PSNH, which then credits us for the amount we put into their grid. MIT researchers have hit upon a simple, inexpensive, highly efficient process for storing solar energy. With Daniel Nocera's and Matthew Kanan's new catalyst, homeowners could use their solar panels during the day to power their home, while also using the energy to split water into hydrogen and oxygen for storage. At night, the stored hydrogen and oxygen could be recombined using a fuel cell to generate power while the solar panels are inactive. Requiring nothing but abundant, non-toxic natural materials, this discovery could unlock the most potent, carbon-free energy source of all: the sun. "This is the nirvana of what we've been talking about for years," said MIT's Daniel Nocera, the Henry Dreyfus Professor of Energy at MIT and senior author of a paper describing the work in the July 31 issue of Science. "Solar power has always been a limited, far-off solution. Now we can seriously think about solar power as unlimited and soon." Last weekend was great fun, the driving part of it made much more enjoyable than usual but the fact there were nowhere near as many cars on the road as in previous years. Breezing out to Glimmerglass isn’t unusual because I go out earlyish in the day. But when I got there a little before dinnertime, I pulled right into a space in downtown Cooperstown, one of several open spaces I could have chosen from. That’s unheard of. The place is usually so jammed you have to settle for the out-of-town parking lots and take the shuttle bus to Main Street. It hit me that gas prices were reducing tourism to one of the great tourist sites in the Northeast—the Baseball Hall of Fame. The trip home Sunday night clinched it. There were no back-ups at any of the toll booths from Albany all the way east; they’re usually a half-mile to two miles long. Most remarkably, there was no back-up at Exit 9 on the Mass Pike, the big bad merge where everybody coming up from New York joins everybody from the west and five lanes of traffic funnels into three. Not only no back-up, no traffic. I left Cooperstown at 6:10 and arrived home at 10:30, four hours and twenty minutes on the road, including one fifteen minute pit stop. Remarkable. Anyway, after I left the Bard College area on Friday morning, I drove up to Albany for a long hoped-for meeting with blogger Alan Bennett Ilagan. Alan had picked a delightful restaurant that was literally at the foot of an exit ramp from the highway and super-convenient for me. The handsome, creative, witty guy from the blog was, if possible even more so in person and before I realized it, we’d spent almost two hours talking and laughing together. Alan’s pretty happy right now in anticipation of the opening of his first solo show of his photography. In addition to his day job and writing, he’ll also assume directorship of the gallery this fall. Alan (undergrad) and I (graduate) both have Brandeis University in common and I’ll hope to see him again on one of his trips back to Boston. And if you’re anywhere near Albany in September starting on the 5th, stop by the Romaine Brooks Gallery, 332 Hudson Ave., Albany, NY to see his work. The rolling farm land and unspoiled villages of the Cooperstown area are always a great place to spend two or three days. Among the attractions are the antique barns and the Ommegang Brewery, which makes Belgian-style beers that are given a secondary fermentation in the bottle, exactly like champagne. A tour of the place is fascinating, particularly the demo of the various spice and flavoring mixes that go into the first fermentation. Ommegang makes a wide line of dark, light and wheat beers in the European style that are head and shoulders above standard U.S. beers and even trump most of the micro-breweries, good as many of them are. For the record, I have indeed visited the Baseball Hall of Fame, after its recentish renovation, and enjoyed every minute of it. 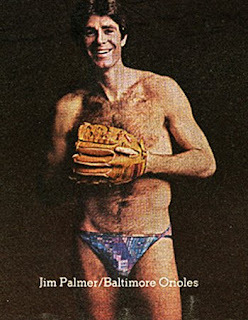 The fact that they have a couple of billboard-sized prints of Jim Palmer’s underwear ads MIGHT have something to do with it, however. Highlights at the Glimmerglass Opera were Handel’s Giulio Cesare, set in the 1930s, which meant that the Romans got to wear some really sensational uniforms and Cleopatra had a whole wardrobe of bias-cut gowns including a gorgeous silk confection in peacock feather print, and the Kiss Me, Kate production that was smart, fast-paced and which featured Lisa Vroman and Brad Little as the on-stage and off-stage adversaries who get together at the end, and look just great doing it. There were some problems with Wagner’s early opera Das Liebesverbot. Part of the problem is that Wagner significantly changed Shakespeare’s Measure for Measure, weakening it somewhat but at least producing a libretto that is consistent within itself. 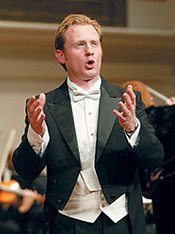 Director Nicholas Muni, however, chose to eliminate one vital plot line in his cutting of the admittedly very long score, and he invented an action for the finale that contradicts Wagner to no real point. As this production was the first time the opera has been staged in North America (there have been a very few concert performances), many of us in the audience felt strongly it should have been played without changes so that Wagner’s plot could be seen as intended. 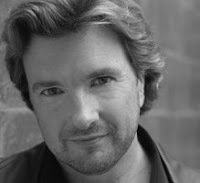 The stage was dominated by tenor Ryan MacPherson’s vibrant, charismatic performance as Luzio, and by the superb Claudia Waite in the long, dramatically and vocally demanding role of Isabella. The production was updated to the 1950s which worked very well, but did no favors to the leading lady by placing her in a short, tight, unattractive cerise-colored dress for the opera’s big central scene. Bellini’s take on Romeo and Juliet, I Capuletti e I Monteccchi, was ravishingly beautiful vocally, even if Sandra Piques Eddy had to drop out because of illness after Act 1 to be replaced by the excellently prepared and valiant young stand-by Emily Righter who received an ovation for her rock-steady work in act two. Many , if not most, in the audience disliked Ann Bogart’s production but I insist that oper5a is theater and I thought she made something very exciting of the piece on stage. 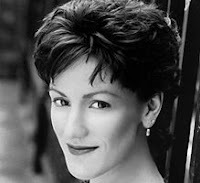 Sarah Coburn was the excellent Julietta. On Sunday at 11:30 am, Ms Vroman and Mr Little returned to provide the lines of various characters for a performance of the complete incidental music to A Midsummer Night’s Dream by Felix Mendelssohn, along with a small chorus and two vocal soloists. Unlike any other performance of this music I’ve heard before, we didn’t just get the music from the main plot, but also the incidental music from the play within the play, the farcical Pyramus and Thisbe. There may not be all that much of it, but it’s very funny and gave Lisa Vroman the opportunity for a witty pantomime that she did to a turn.